The recovery of monies and the enforcement of judgments in this respect are always issues of high priority in business. The volume thus discusses these matters in a separate section on `Debt Recovery'. The remainder of the book is divided into parts dealing with finance and mergers and acquisitions, together with a general commercial law section. 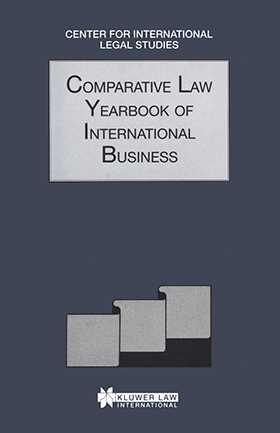 The Comparative Law Yearbook of International Business has been prepared by specialist practitioners from all corners of the world for the use of international business lawyers and their clients.